Patravi TravelTec : Black is the new black. The DLC finish elaborately applied in a multi-stage process fully embraces the durability and lightness of carbon. The wafer-thin, diamond-like crystalline carbon structure ensures the watch is particularly scratch-resistant and highly shock absorbent. 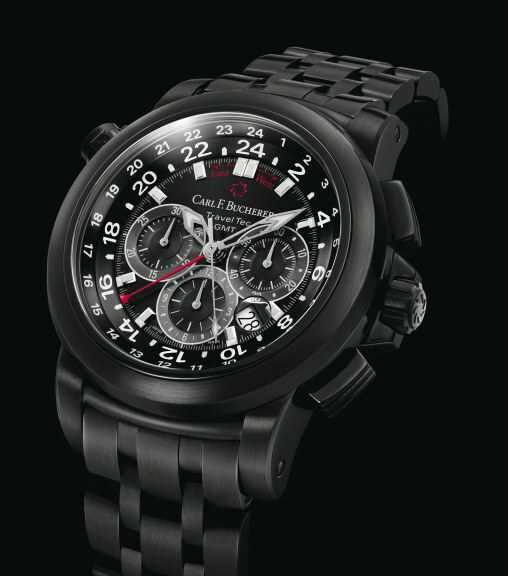 The compelling deep matt black color of this timepiece is created by the unique blend of carbon material. 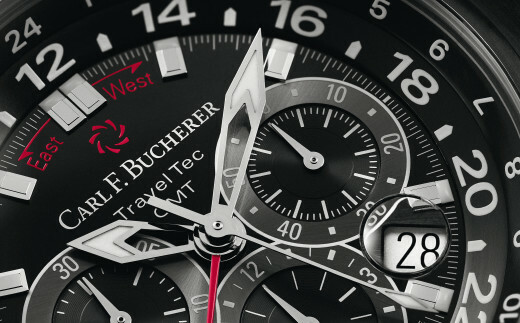 The striking design is rounded off with a black dial offering a clear display of contrasting light-colored totalizators, indices, and scales.